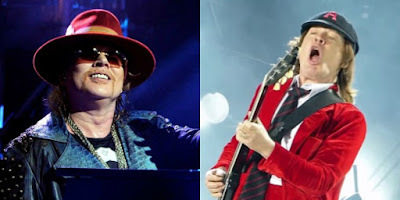 Axl Rose was recently interviewed by BBC about AC/DC, you can read some excerpts below. He said that he's open to continuing on with the band after they complete the tour, saying: "There’s makeup dates in the States, and if I don’t get throw out before then, I’m looking forward to doing [them]. I think after that, it’s about what they wanna do. I’m in if they want me in, and we’ll sort it out, but right now that’s getting ahead of ourselves with everything else that’s on the table."